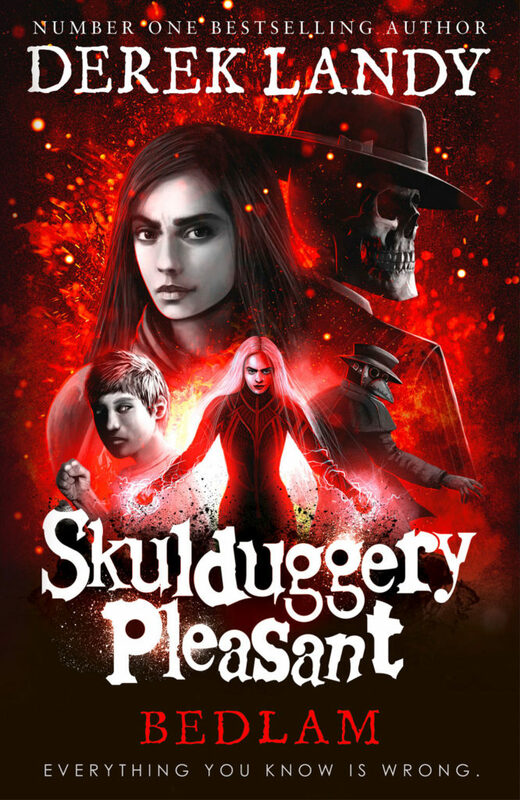 On a desperate journey to recover her sister’s lost soul, Valkyrie Cain goes up against the High Sanctuary itself, and there’s nothing Skulduggery Pleasant can do to stop her. With Abyssinia’s grand plan about to kick off in a night of magic, terror, and bloodshed, it falls to Omen Darkly to save the lives of thousands of innocent people. And as the madness unfolds around him, as hidden enemies step into the light, and as Valkyrie is sucked into a desperate, lawless quest of her own, he has no choice but to become the hero he never really wanted to be ― or die in the attempt. Bedlam is coming 30 May 2019 and is available to order now wherever good books are sold. Order it now in hardback, ebook, or audio download.